The NordicTrack Professional Series 3500 treadmill helps you to burn those calories and get fit using a power incline and a large running area driven by a 3.0 CHP motor. The NordicTrack treadmill reviews are all largely positive about this machine and all its cool bells and whistles, but we can’t help but feel that this model is overpriced when compared to the components and features offered on NordicTracks costing much less. UPDATE: The Professional Series 3500 has been discontinued and is no longer available for purchase. For a comparable treadmill check out the NordicTrack Commercial treadmills on the official company site. Experts took a look under the hood and gave good marks for the 3.5" crowned steel rollers pulling the belt. These precision machine-made rollers mean you’ll have a quiet, smooth workout session. The NordicTrack Professional Series 3500 treadmill comes with just about everything else you’d expect: a beautiful numeric LED display, DuraSoft™ Cushioning, a reversible deck, and so on, but it’s a NordicTrack and it’s not going to be chosen over better competitors in this plus-$3000 price range -- namely a Landice or a Bodyguard treadmill. Users like the cushioned deck, which is also reversible. (A reversible deck means that once the deck tread shows wear you can flip it over and have a brand new deck to run on -- no need to buy a new one.) 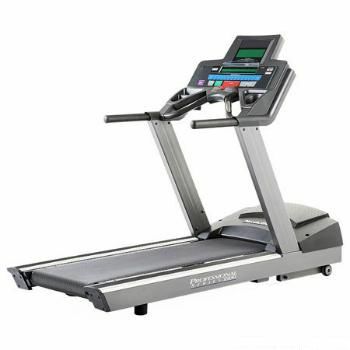 Overall, owners like it as an attractive and reliable treadmill. If they have a complaint, it’s that they feel they spent too much on this model. The pluses of the NordicTrack Professional Series 3500 treadmill are obvious: the powerful motor, large running deck, cushioning, noise level, and reliability, but comes up short on value. Priced at $3299 to $3499, it’s simply not a great treadmill at that price (we have seen it on sale though for around $2300). 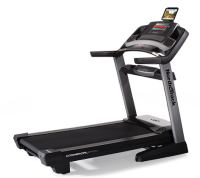 We recommend you spend hundreds less and take a good look at the NordicTrack S3000 Institutional treadmill, which has a more powerful motor, comes with the same programming features, and is, overall, a much better buy for runners. If you are still planning to spend north of $3200 for a heavy-duty machine, then take a look at the highly-regarded Landice treadmills. WINTER SALES ARE STILL ON! Save up to 45% on new NordicTrack treadmills! NordicTrack Treadmills are on sale right now!